Small - $24.99 Only 8 left! Medium - $24.99 Only 8 left! Large - $24.99 Only 8 left! X-Large - $24.99 Only 5 left! Do you love candy? Of course, you do, anyone who claims otherwise is either lying or they're cats in human clothing (did you know cats can't taste sweet things?). Either way, they're not people you can trust. They'll either knock your glass of water off the table when you walk out of the room or take a handful of your candy corn stash when no one is looking. Just be honest, people! It's time to wear your love of sweets on your sleeve. Actually, you can do better than that! Throw on these leggings to let everyone know how sweet you really are! 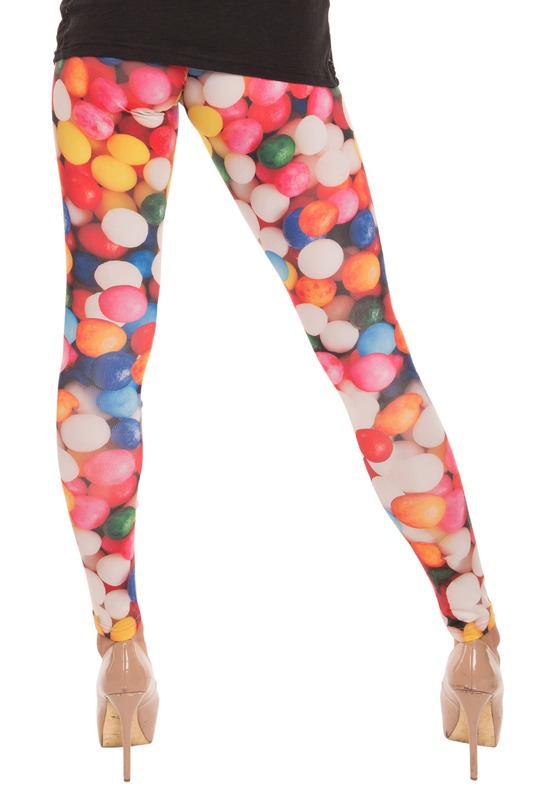 These gumball leggings are fun and flexible. The enlarged gumball print is just a little nostalgic and a whole lot of fun. The elastic waist and flexible fabric make these leggings ready for going out in style as well as curling up with a popsicle on the front porch. If you're looking to put together the perfect costume, it's time to take action. Actually, these leggings can become a staple in your costume collection. 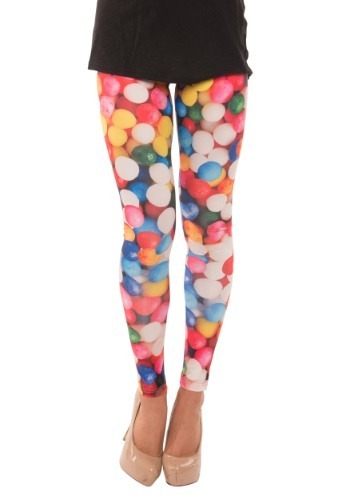 From a Bubbles the clown character to accessorizing for a nineties-themed party, you'll love bringing these leggings out again and again. I participated in trunk and treat this Halloween. My theme was a gumball machine. These leggings went perfectly with my theme! They were such a hit and added a true colorful twist to my trunk!